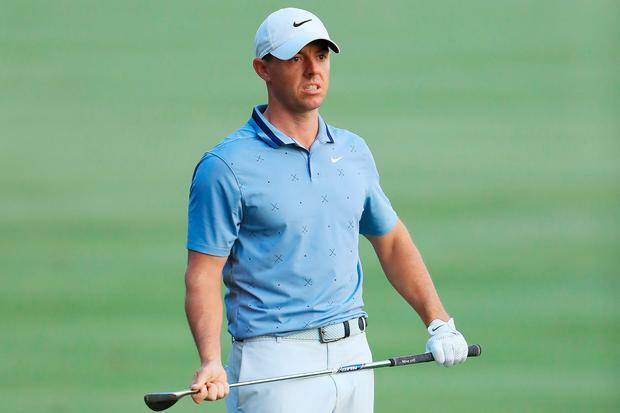 The Dubliner concedes that putting together a top-quality field in an era when players have all the leverage is "a tough process" for even the biggest events. But he's confident he will succeed in bringing a sprinkling of stars to Lahinch from July 4-7 after clocking up thousands of air miles and approaching every member of the world's top 50 - including Tiger Woods and Phil Mickelson - over the last 10 months. "All the power at the moment in golf is sitting with the players," McGinley said. "The bigger the player, the more power they have because they can make or break a tournament in whether they want to play or not. "You are not going to get all of the players so what you have to do is pinpoint three or four or five big, strong names and if you can do that, you are going to have a successful tournament." With all four Majors crammed into just 101 days this year, only the Grand Slam events, the World Golf Championships and The Players, are likely to command a constellation of stars. The exception could prove to be this year's BMW PGA at Wentworth, which has moved from May to September when the PGA Tour's FedExCup playoffs are over. That may be the way forward for the Irish Open, but fans can still expect a strong field at Lahinch, where there are high hopes that Justin Rose will make an appearance . Patrick Reed and Xander Schauffele may also be tempted to join Tommy Fleetwood, Pádraig Harrington, Danny Willett and Lee Westwood in the line-up. "We are going to have a strong field," McGinley said yesterday. "All things considered, we are going to be ahead of all reasonable expectations. "With Rory, I think we have taken the hit and moved on. "The Irish Open is bigger than Rory McIlroy and he'd be the first to admit that with all those great champions we have had in the past." With no appearance money to draw the stars and with players still making up their minds about what to play before The Open at Royal Portrush and the following week's WGC-FedEx St Jude Invitational, it's a tough task to get players to commit early. The so-called Links Swing, where the Irish and Scottish Opens precede The Open for the third year in a row, has not worked as expected, though Lahinch, as a pure links, may attract more players thinking ahead to The Open than the 11-year-old Renaissance Club near Muirfield. "What is the perfect date? Should we look at maybe September in the future for an Irish Open date?" asked McGinley. "It is swings and roundabouts and everyone is feeling their way through this new schedule. "It has made the Irish Open very tricky from my perspective. That is OK, I can handle that."